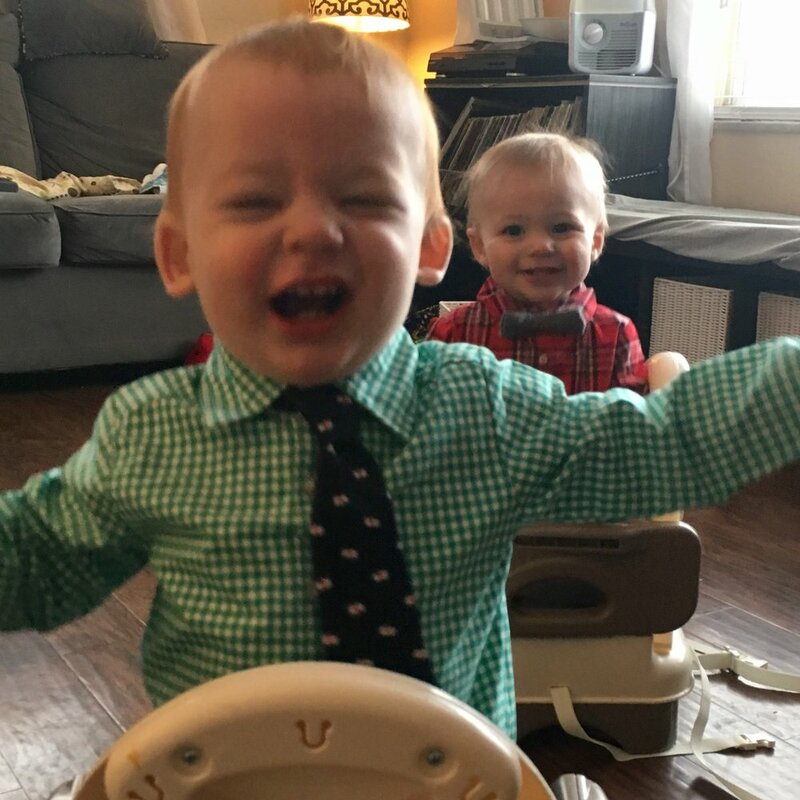 Joshua and Julian would not smile for a posed Christmas photo. They were happy to smile while playing! 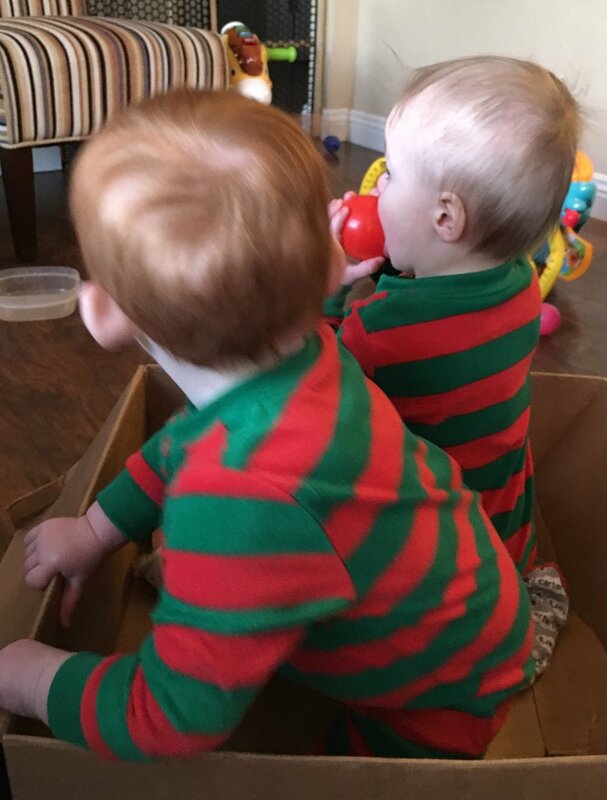 Our box of Christmas babies arrived!